I wanted to show the temptation of Christ in a different way. 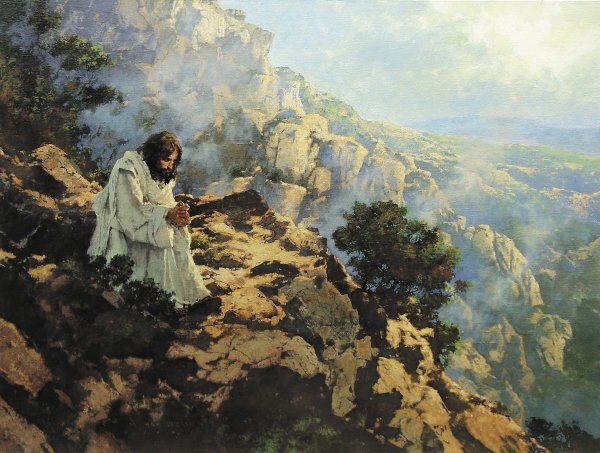 Rather than a flat desert, I chose a lonely spot on a mountain for the first temptation by Satan. It would have been a long, arduous climb to this spot, and Christ would have been hungry and thirsty. His "aloneness" is paramount on the left side of the painting and the glory that is God is represented off to the right.